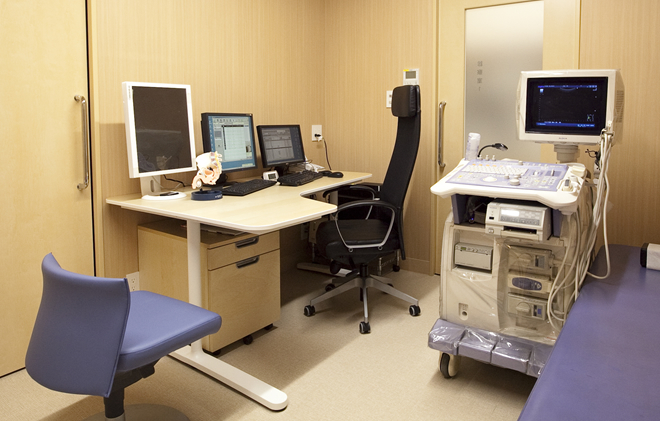 Consultation and Examination rooms are bright and clean. 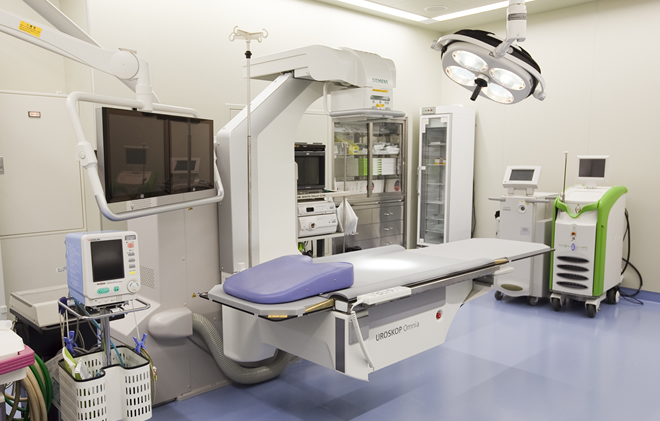 Our utilizing the latest innovations in medical surgical equipment and devices allows us to perform the best operations on our clinic’s 3rd floor. 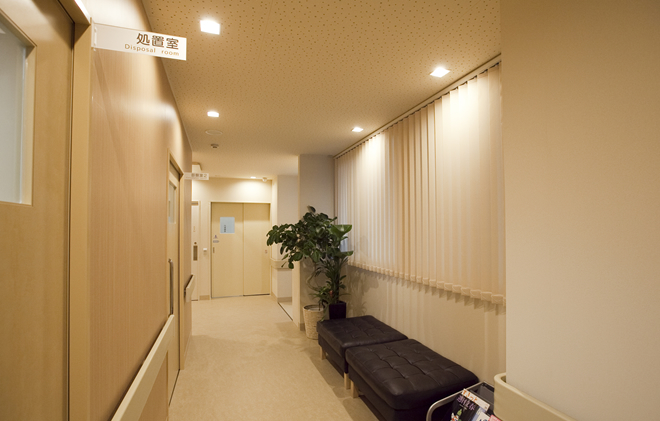 To ensure patients’ privacy, we provide individual rooms divided by curtains. 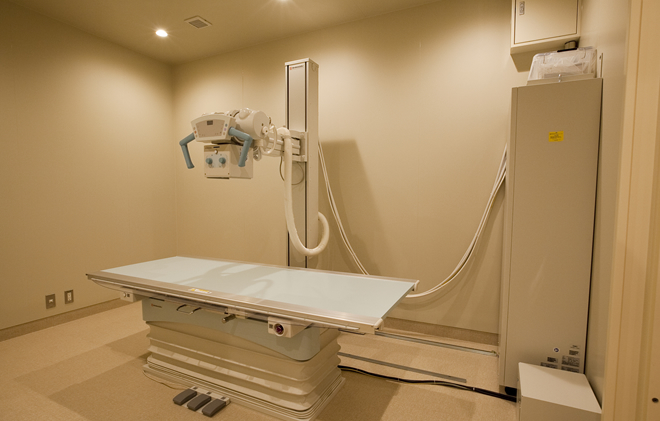 The X-ray examination room is easily accessible to patients. 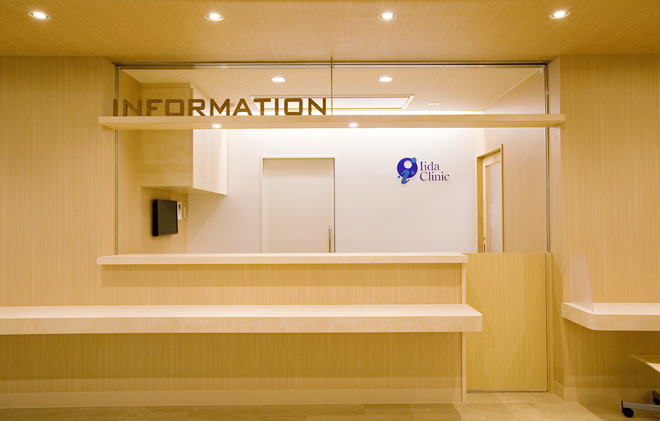 Upon arrival to our clinic, we cordially invite you to visit our reception desk first. 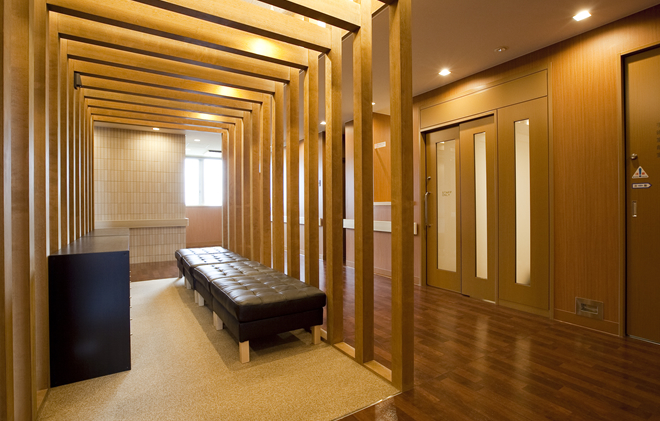 Patients can feel the warmth of wood in our spacious waiting room area and enjoy the entertainment of our television and magazines in this area. 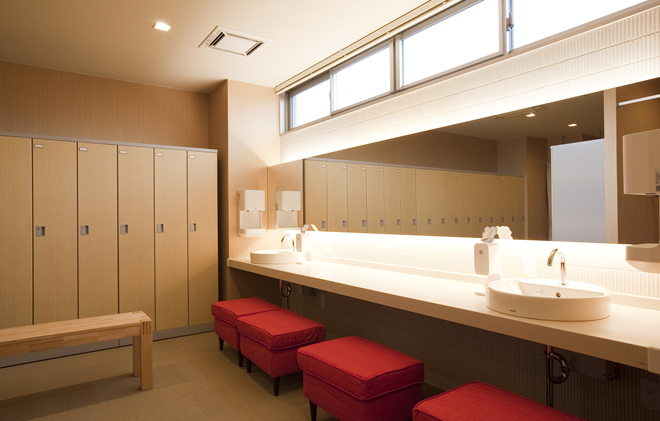 We provide a space not only for nursing but provide a baby-changing area and table as well. Please feel free to use this space when you visit the clinic with small children. 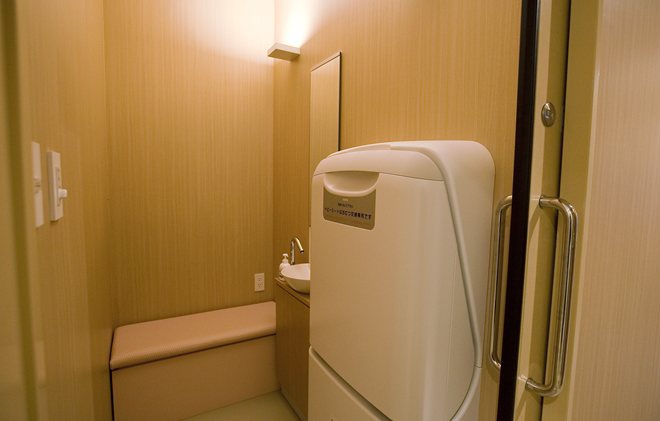 We set up beds with consideration of privacy and use an air conditioning system without the typical blowing air of other systems which improves the comfort for patients at the clinic. 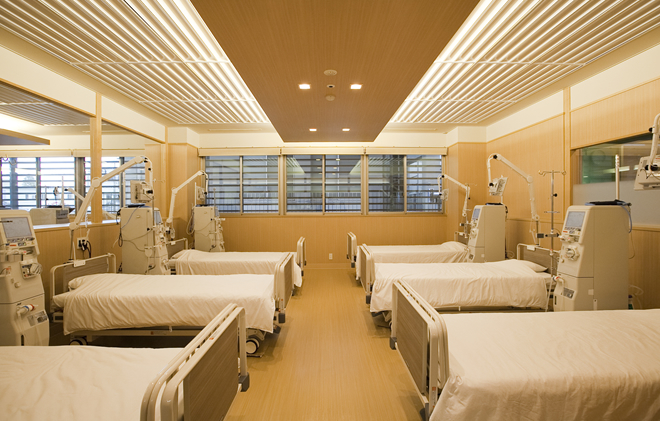 We also have installed an indirect lighting system, which doesn’t shine on patients directly. 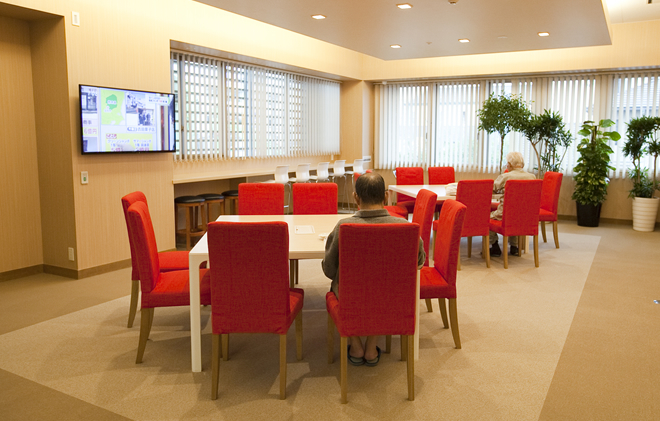 This is a space to have meals as well as enjoy communication with other patients, staff and family members. 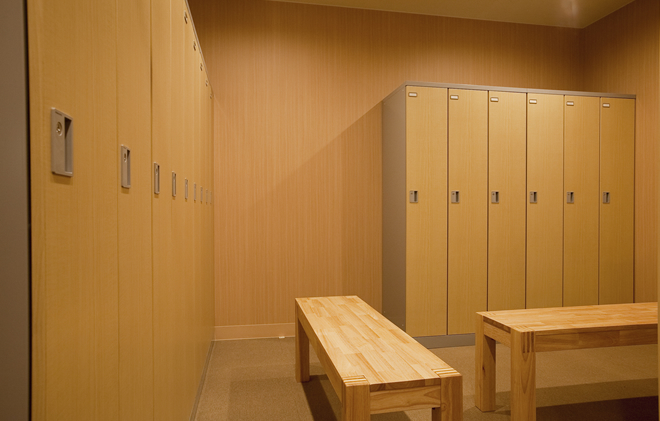 This room is fully equipped with individual lockers and powder room. A room complete with individual lockers and lavatories. 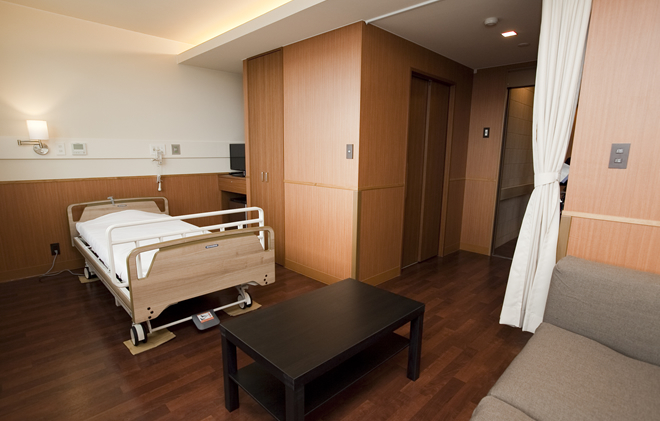 This is a bright room facing south with more space than other regular rooms. It is also fully provided with a shower room and a lavatory. 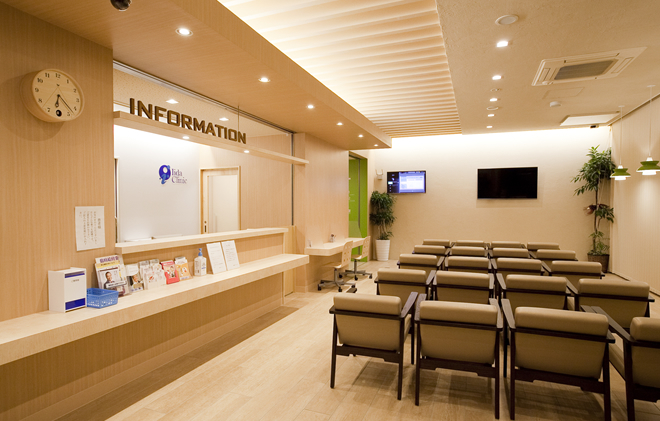 This is a space where patients relax and can read magazines provided by the clinic while waiting to consult with a doctor. 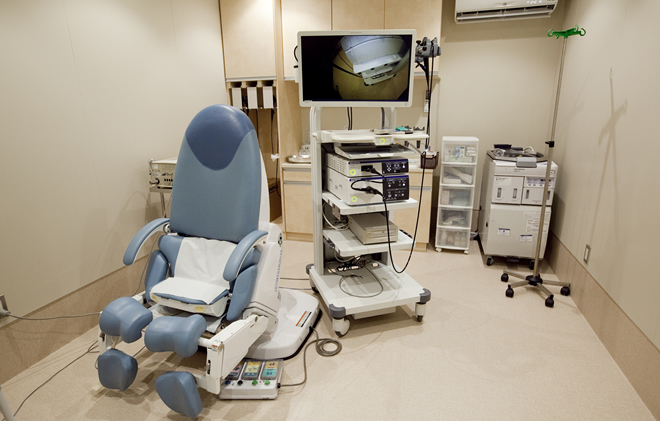 This is the space where a patient scheduled for an operation can relax prior to surgery and where patients’ family members can wait comfortably during surgery.